I’ve been talking about training principles for several years now and I’m happy to see that more ultimate players are taking their physical preparation for the sport we all love more seriously. However, despite repeated warnings and consensus among the strength and conditioning coaches in the ultimate community, there are still too many ultimate players, some of them even elite players, who believe that Crossfit is adequate training for ultimate. I won’t even go into a diatribe about how Crossfit coaches are only required to have very little training to open up a gym. Everyone argues that their coach is somehow different than all the others. The thing is, regardless of how good your Crossfit coach is, Crossfit cannot be a good solution for serious ultimate players because it was not designed for athletes and its programming is fundamentally flawed. The best Crossfit coaches are those who deviate the most from Workout of the Day (WOD) style workouts. The best practitioners of Crossfit, and those who actually win the Crossfit games, don’t follow Crossfit’s own philosophy. What’s The Difference Between Crossfit And Training For Ultimate? If you are looking for general fitness, then this philosophy is correct. 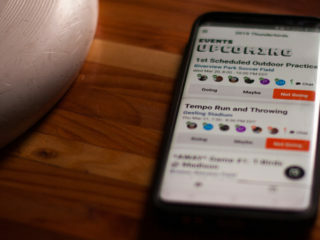 If you are trying to become prepared for anything in particular, like the sport of ultimate, like survival in a desert, or combat in the jungle, then you need more specific training. Sports are not full of unforeseen challenges. The parameters you need to train for are fairly predictable. For ultimate, the primary athletic qualities are speed, agility, jumping ability, and speed endurance. There are specific ways to train for these athletic qualities. You also know when you need to be best prepared. Tournaments do not come out of a hopper. They come on specific weekends. You likely already know the date of the most important weekend of the season. Instead of training for the theoretical random, we can train for the known specific thing that’s most important to us. What Have Ultimate Players Been Learning in the Ultimate Athlete Project? When I asked my UAP members what they learned most by being a part of the program, the overwhelming choice was the concept of periodization. 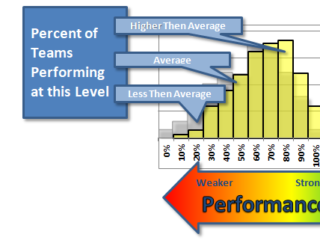 A simple explanation of periodization is that you cannot train all athletic qualities at once. Instead, you stack training blocks which focus on various athletic qualities in a way that allows for better overall physical adaptation. Why Can’t You Train Everything At Once? When the body has to choose between adapting for endurance or adapting for strength or power, it will always choose endurance. This is why you have to eliminate a lot of conditioning in order to make true gains in strength and power. This is why you cannot train everything in one workout – or even in the same week – if you want efficient adaptation. Each athletic quality has its own unique profile for adaptation and loss of that adaptation. This is true of the short term (supercompensation) and in the longer term (residual training effect). But in general, your body adapts the most to a new training stimulus in the first three weeks of applying that stimulus. A new training stimulus means means more than just a variety of exercises or workout types. It means a change in focus on what athletic quality you are training. WOD-style workouts are basically metabolic conditioning. The exercises change but the focus, the athletic quality you are training remains the same. A periodized program, however, begins with the end in mind. We have a specific sport we’re training for and a specific time we want to be at our best level of performance. Crossfit has no way to handle this planning other than modifying the volume or frequency of different types of workouts. How does what you are doing in your Crossfit gym today relate to what you did a month ago beyond perhaps doing more reps in the given amount of time? How does it relate to what you will do a month from now? Why Are Ultimate Players Attracted To Crossfit And Other General Fitness Programs? 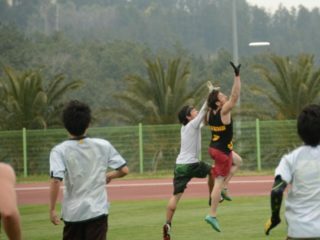 A lot of ultimate players use ultimate to keep themselves in good shape. They are after general fitness. For these people, Crossfit is fine since it’s a general fitness program and helps keep people active doing a variety of activities. For players going after marked improvements on the field, whether that brings more playing time, a spot on a higher-level team, or a lower risk of injury, a more tailored approach to training will provide a direct path to those specific goals. What confuses me is why many players who have supposedly made the switch to training for ultimate are trying to utilize Crossfit for this purpose. My guess is that the metabolic conditioning WOD-style workouts are attractive to the competitive nature of ultimate players. Competing with the clock and with teammates is fun. 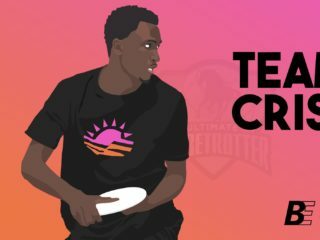 Perhaps ultimate also draws athletes with a slightly masochistic streak. 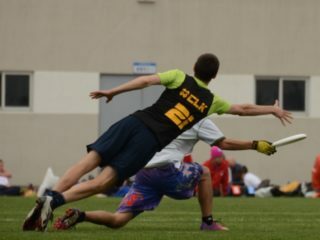 Especially in the United States, ultimate has evolved with a tournament style format, squeezing in 6-8 games in one weekend. There is a part of us that likes the challenge and is attracted to the full body exhaustion that comes with it. So it makes sense that ultimate players would also be attracted to metabolic conditioning workouts that feel difficult even if they lead to less than optimal athletic adaptation. I have never met a college educated, certified strength and conditioning coach who thinks that Crossfit is an actual plan for athletic performance. There is no controversy about this in the field of strength and conditioning. If you are using Crossfit as a training plan, you are disagreeing with the overwhelming consensus of experts in the field. You can put yourself in the good company of climate change deniers and anti-vaxxers. We know what the athletic demands of ultimate are, and having a periodized plan to build each element of your on-field strength and conditioning will help shape your game in more direct, functional ways than a generalized approach.